South Korean automaker Hyundai has launched a new sports division, called N. The new division was unveiled this week at an event in Germany, where Hyundai showcased the technology that would be used to develop new sports vehicles as well as a new car. Hyundai’s new vehicle, the N 2025, will make an appearance in the latest Gran Turismo game, where it will be available to download to those that play the game. The high performance sports vehicles that the automaker is making through its N division will also make use of hydrogen fuel cell technology. The N 2025, specifically, will have a powertrain that is based on the fuel cell system that has been developed by Hyundai and the vehicle is expected to have an output of 871 horsepower. The vehicle features an aerodynamic look that is designed to account for any wind resistance that the vehicle would experience while in operation. Hyundai already has a fuel cell vehicle in the commercial market, though it is available in limited capacity. The automaker has been somewhat outspoken in its support for hydrogen fuel cells, noting that these energy systems are both environmentally friendly and efficient at producing electrical power. Fuel cells may be ideal for automakers interested in clean transportation, as they can perform better than conventional batteries, which allows vehicles equipped with fuel cells perform as well as those powered by fossil-fuels. 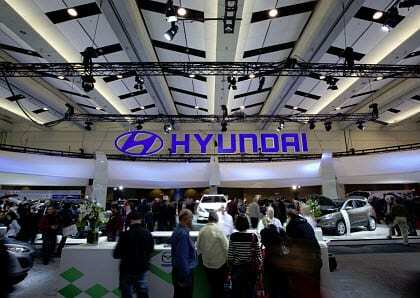 Hyundai plans to bring its new sports vehicles to several rallies and other events in the near future. Fuel cell vehicles are beginning to see more use in sports racing, as they have proven to be quite capable of competing with conventional engines. In the commercial market, fuel cells have yet to gain any significant traction, as the lack of a hydrogen fuel infrastructure has limited the appeal of these vehicles to consumers.